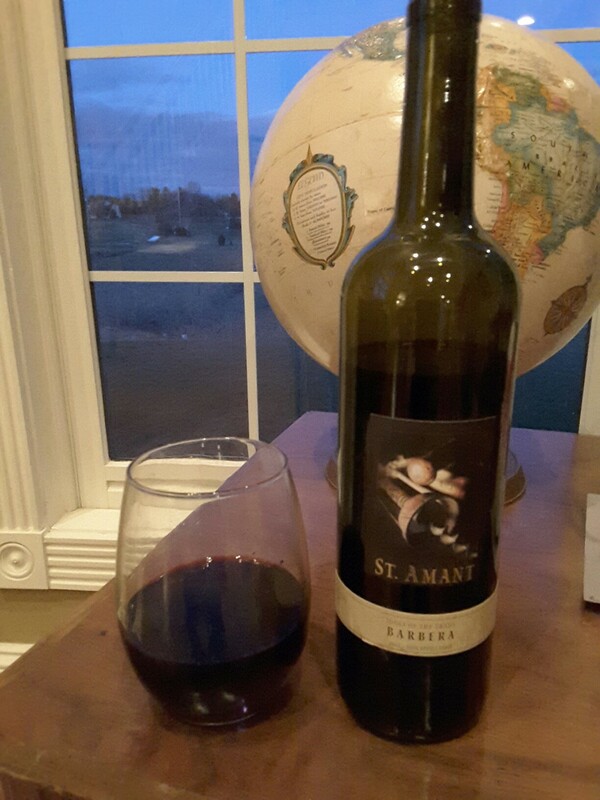 A Barbera in California, St Amant Barbera Lodi. St Amant is one of my favorite wineries. The zinfandels they produce are some of the best quality you will ever have. Tim and Barbara Spencer started the winery in 1979,producuing these rich, fruit forward wines that are appealing to every palate. Their son Stuart is now the wine maker (and doing a fantastic job). Barbera is typically a varietal thoought of from Italy. But, in the past few years the grapes’ popularity has crossed borders. Lodi, Californiina produces some magnificent fruit forward examples. This vintage was extraordinary. Rich, big, voluptuous and round. The nose gives the aromas of strawberry, tobacco and understated earthiness. The color is deep dark purple. Giving the temptation to “sample me”. WOW. The fruit notes are abundant. Strawberry with lighter red fruit notes; raspbery, cranberry start you off on this journey of pleasure. My tongue tingles wityh excitement as the next wave of flavor washes over. Notes of darker fruit like plum take over with hints of cedar. The tannins are light, just enough to cause your mouth to constrict with desire for more.